I finally picked up the Real Techniques Core collection! I'm so late hopping on this bandwagon. I've been meaning to get them for a while, but logistics made me hesitant. So here's the kicker... Guess where I found it? Walmart! I'm sure all my Canadian ladies are as excited about this news as I was. The price is reasonable, $18.97 (plus tax), and I've only seen the sets in store (for now?). It wasn't impossible for us Canadians to pick up these brushes. There were online choices (Amazon or iHerb) and they've also been popping up in independent boutiques. But the fact that they're now available at Walmart, kind of a big deal right? 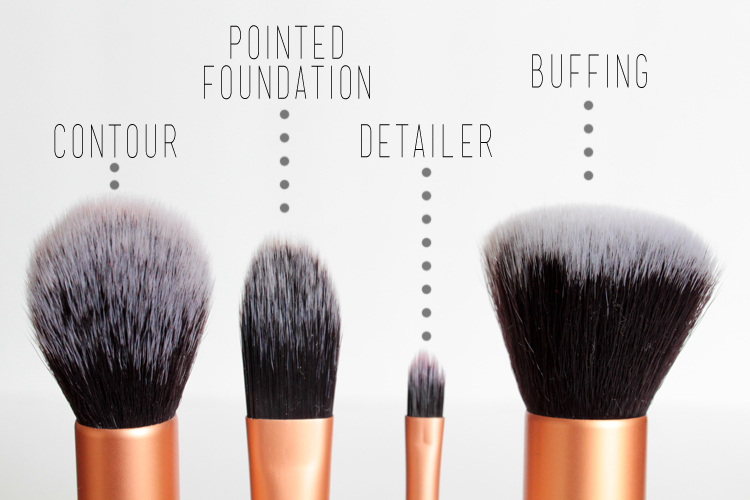 So, more on these brushes, even though most of you already own them or know what they're all about. They're made of talkon bristles, which means they're soft, durable, and synthetic (aka, 100% cruelty free). I haven't experienced any shedding with these brushes and the handles feel great in the hand. 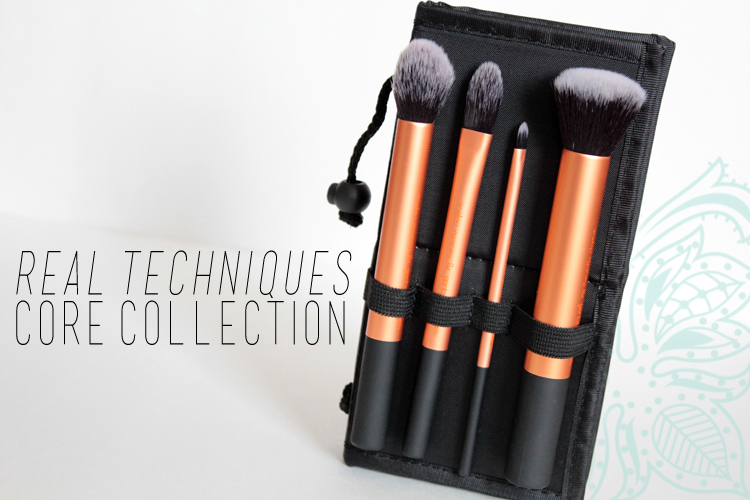 The Core Collection comes with four brushes & a sturdy case. 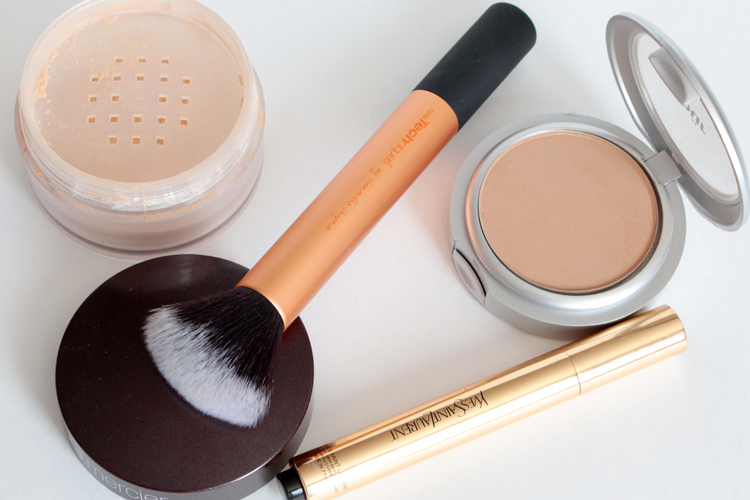 It's the perfect set to create a flawless face. They have their suggested uses, but what I love about these brushes is that they're multi-purpose. This is my favourite brush in the collection. I love the tulip shape of the bristles. 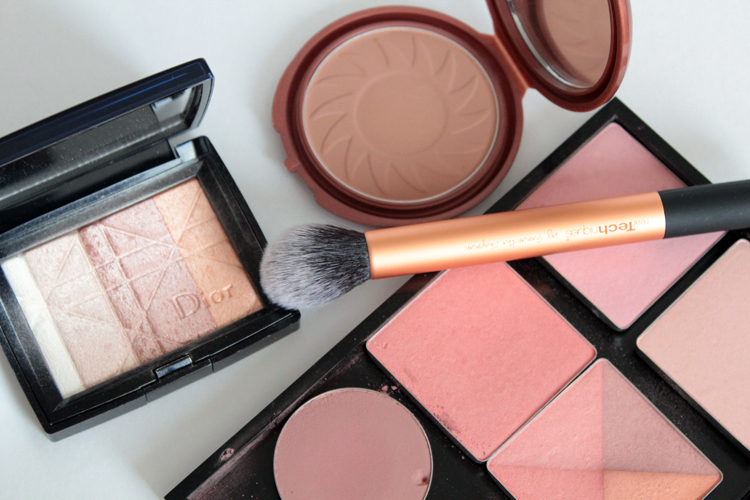 It's perfect for bronzer (it really gets into the hallows of your cheeks), highlighter, and blush. 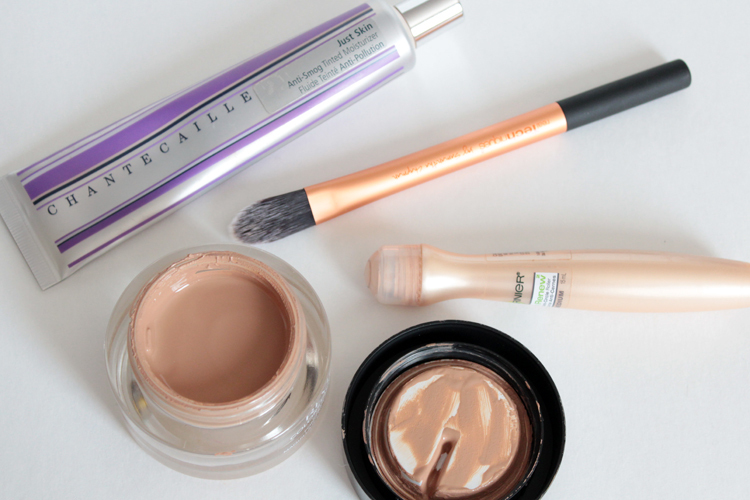 You can also use it for buffing out concealer, or applying other powders. It's also quite soft, softer than a few natural hair brushes I own. This is my least used brush because I don't really wear foundation & I don't have a lot of face products that I would use a brush to apply. I was a little skeptical about the size of this brush (it's a little smaller than typical paddle foundation brushes), but it's actually quite easy to maneuver. The pointed tip gets into all the nooks of your face and makes it easy to apply product. I've used it with tinted moisturizer and concealer. This is such a cute brush. It's small and it offers precise application. I use it mostly for concealer. 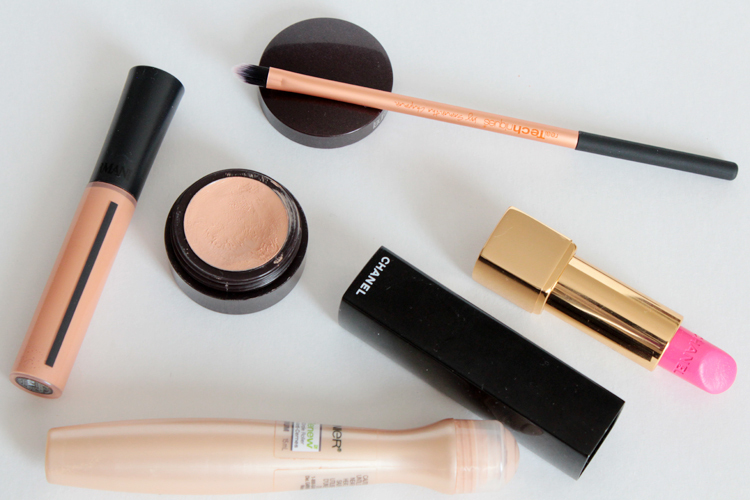 It blends under eye concealer beautifully, and it's also perfect for spot concealing. This brush applies product exactly where you need it. I've also used this as a lip brush. It packs on the colour with precision. This is a great brush for a lot of different things. You can use it for powder or liquid foundation, loose or pressed powder, buffing in concealer, and even applying a little blush. The bristles are soft and have a reasonable give to them, which makes it really quick and easy to apply (or buff out) any kind of product. As soon as I get my hands on another one of these sets (they sell out rather quickly in the Toronto), I will be giving one away. Stay tuned :). OMG! I've been living under a rock! SO excited! I'm going to check out my walmart tonight! I just saw these at London Drugs (not all of them though, but I'm sure they'll eventually catch up) so that's another place to look for us Canadians. I, however, couldn't wait and ordered mine from iherb. It just arrived yesterday and I got the same kit that you're showing here. Can't wait to put them to the test! I got the traveler's set a couple of weeks ago. I was surprised to see them there. I just wish they would have more individual brushes for sale instead of the set. I haven't seen them at Walmart yet but I hope they get them in! I've been wanting these brushes since they came out! Thank you for this! I'm so excited to pick mine up! YES! Hoping to see them in Quebec Wal-Marts as well, it will be much easier to acquire them. I'm really interesting in the contour brush. 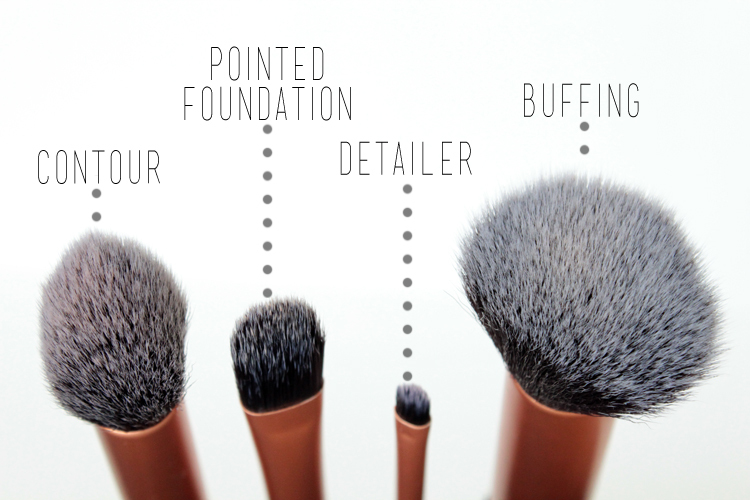 I want that contour brush! Thanks for sharing! I will have to go to Walmart and pick one up :)! What do you use to read blogs?